The four categories our staff chose for the 2015 End of the Year (EOTY) awards were, Truck of the Year, Custom of the Year, Car of the Year, Show of the Year, and People’s Choice (voted on by our readers via the various Slam’d social media outlets). We also had a vote to honor our staff Photographers and chose a Photographer/Photo of the Year (The Top 15 Photos from 2015 can be seen HERE). Best Truck is always the hardest category for me since I’m drawn to different styles of builds for different reasons. But there’s just no denying the extreme detail that went into this Australian-built Rodeo (Isuzu Pup for those here in the States). Every square inch of this truck has been highly modified and the color combo definitely pulls it all together with a high-end feel. All this aside, I think what really does it for me is the fact that Ellard built this truck to be driven – and driven LOW! Cruising centimeters off the ground is exactly what Michael Ellard intended, and if that wasn’t enough, the fact that this build was the culmination of paying homage to the late Laurie Starling of Chop Shop fame who had a hand in helping bring this extremely clean mini back to life seals the deal. 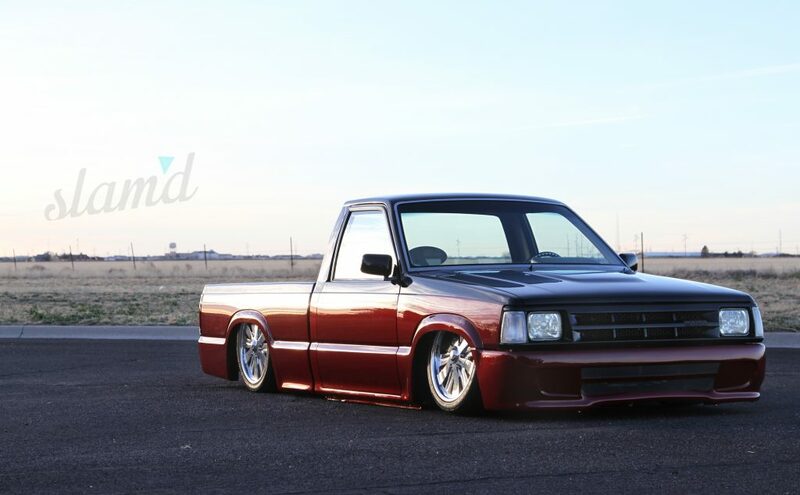 Carlos Herrera’s GMC is just too smooth. The build represents the style and look that everyone can truly appreciate; classy but a bit edgy. 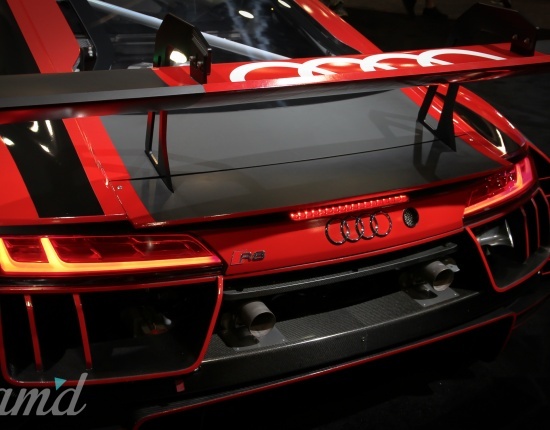 From the full red interior to the custom graphics down the side, you just can’t go wrong with black and red. A timeless classic. Not to mention this Sierra looks amazing rolling low for both photo and video, and wearing that “McKiddie Edition” badge of honor is icing on the cake. My choice for Best Truck of 2015 is Sean’s Don’t Cry Mazda built by Sadistic Iron Werks. A truck of this caliber should be what people aspire to when building their dream truck. The attention to detail is second to none. 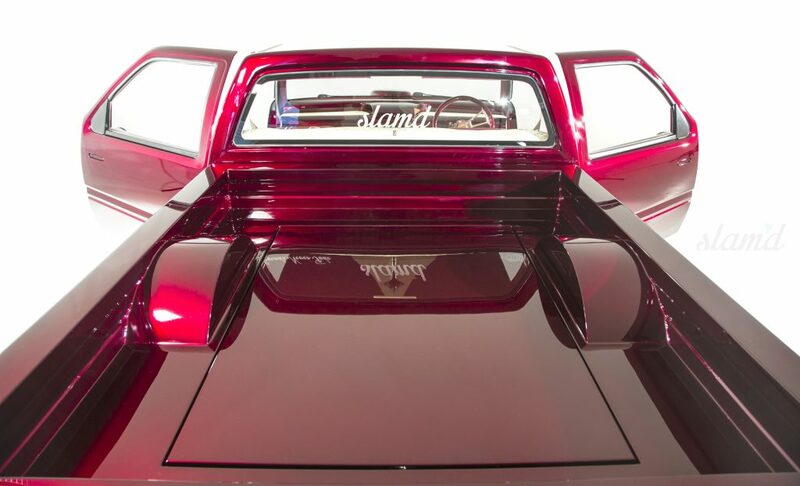 From the body line inside the bed that mirrors the outside body lines, to the meticulous paint completed by AK Airbrushing & Autobody, this truck defines the term clean from front to back. 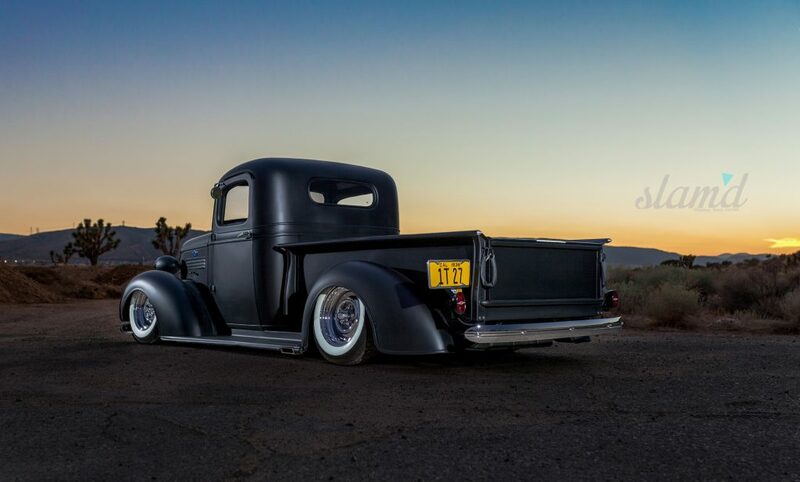 I had the great pleasure of photographing Monty’s 1938 Chevy truck for the Slam’d Mag feature and it was honestly the first time I had ever seen a classic truck with its wheels cambered in the rear thanks to the Jaguar IRS rearend. As an import guy that stood out for me, but above and beyond daring to be different with his classic Chevy build; Monty took this 1938 from rust bucket to a show winner and head turner and still enjoys driving his pickup as much as possible. Overall a cruiser that can hold its own at any show, but still able to hit the open road and that is what it’s all about! How often do you see see one of these Dodges being built for show, especially to this caliber? 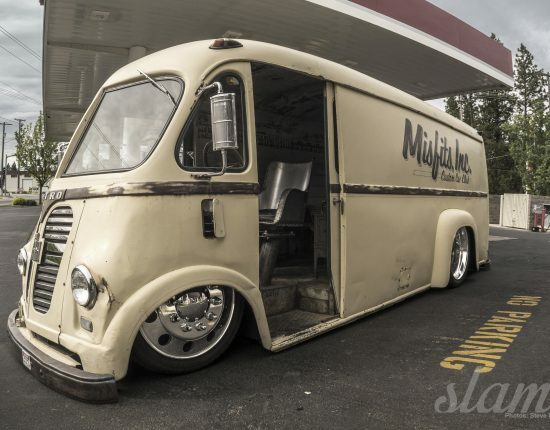 Tim called upon the legendary Roger Burman and his crew at Lakeside Rods and Rides to tackle this crew cab. The custom Boyd wheels help complete the incredible stance and I’m a sucker for browns and tans. But the engine bay with custom engine cover has to be my favorite part of this build. The execution of this truck is so perfect I don’t think I would change a thing. The only thing wrong is that it’s not parked in my driveway. 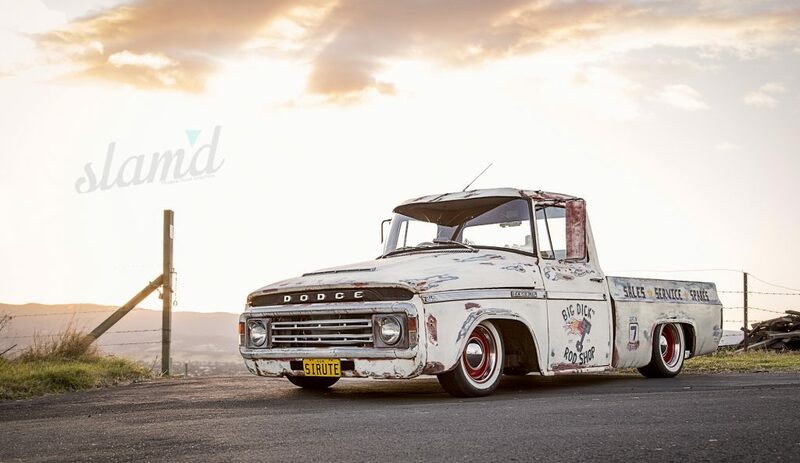 Michael Ellard’s 1992 Isuzu Holden is a special truck with a timeless look that will live on for eternity. Who else has a completely smooth interior and dash with only the hidden Dakota Digital gauges in the custom headliner mount and a completely custom programmed iPad control system to control everything else, literally – EVERYTHING else. Enough said! This ’74 Dodge is honestly probably my favorite vehicle of the year out of all the categories. And it’s not just because its patina’d and beat up a bit. It’s actually because a guy saw potential in a bare cab and front clip that were probably headed for the scrap pile and totally created something unique and badass out of it. Even down to the details of this truck in the interior really make this a one-of-a-kind build. I love to see guys who march to the beat of a different drum and this one just stood out for me. I had the pleasure of looking this truck over in person at the Forbidden Fantasy show last year. The style of everything done here is perfect and there are so many subtle features that came out great. My favorite mod is probably the bed. The smoothed corners, wood bed floor, and huge LED look awesome, but the shortened top rails and slanted rear takes this truck to a whole new level of awesome. The quality of this truck has set the bar for a lot of trucks all around the world with so many unique things done on it that haven’t ever been done before. The exterior mods, color, wheels, are all on point but when you get inside the cabin you really begin to realize just how crazy this build really is. 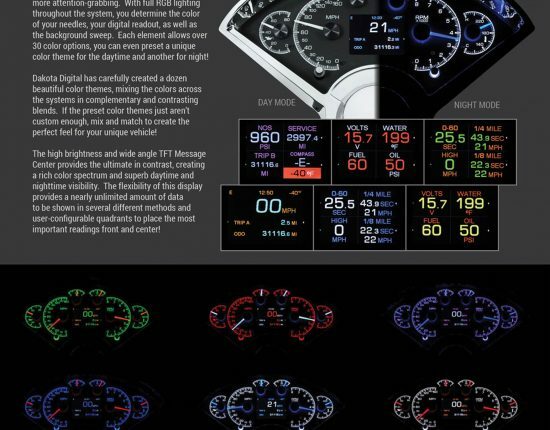 The touch panel tablet that Ellard built from scratch is pretty insane, and this build has taken Aussie by storm. One word – STYLE! I love most everything about this truck. 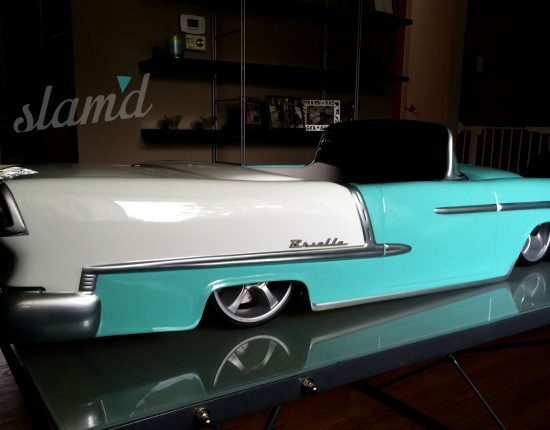 From the smoothies to the silver leaf accents, everything works together to make this Chevy just look super clean. 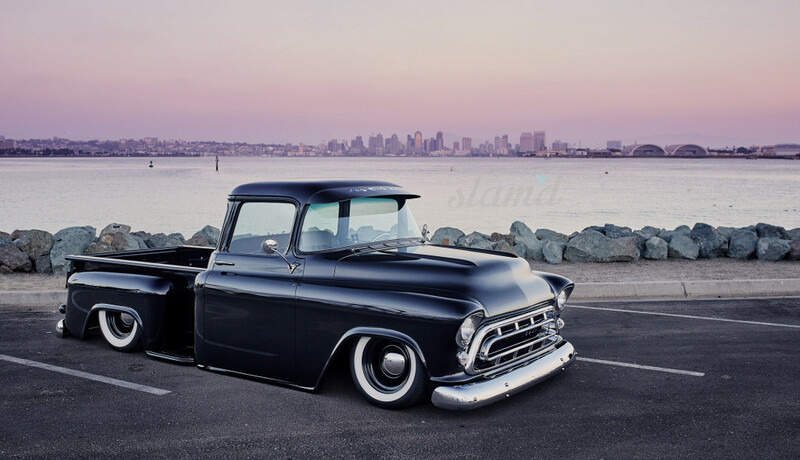 A classy cruiser, this ’57 pickup is definitely one of the cleanest styled classic trucks out there, not to mention David Moore’s photos really make this feature standout from the rest. Top honors for the 2015 Slam’d Mag Truck of the Year goes to the Michael Ellard’s Australian-built 1992 Holden Rodeo! 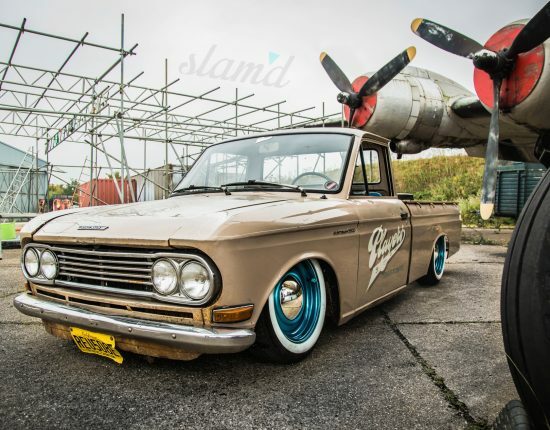 Very well deserved as this is probably one of the most detailed vehicles ever built and the Slam’d Mag team Down Under nailed the photoshoot and video feature (special thanks to Avit “Toasty” from Toast Graphics and Mark Smyth from BAS1C Photography). Australia is coming out with some top notch high-quality builds and we’re glad to be a part of covering these amazing machines.